Click Here To Email Me!!! Welcome to Huhuw.co.uk.......Engineering made simple. 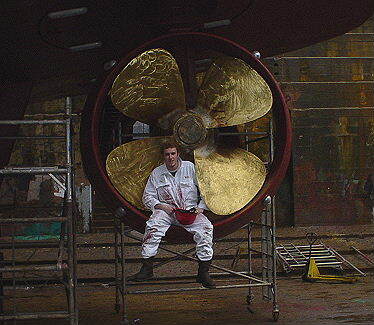 This is a new site being developed by myself, Kevin McParland, for those interested in marine engineering. I have recently qualified as a Class III/1 OOW motorship engineer. I aim to give a basic and simple understandable explanation of as much marine machinery as I can. If there is a piece of marine equipment you want explained in the simpliest of terms, please email me and I will do my best. Also if you are preparing for your class III/1 orals, check out the page of class 4 questions and answers. The answers and diagrams are my own and to my knowledge are right to this date, being September 2003. If you feel an answer is incorrect or is missing something, send me an email and your thoughts will be noted.